There were real sweepstakes held at Oprah.com mid-last year. 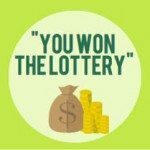 But if anyone were to receive a check recently about winning a lottery “sponsored by The Oprah Show and Walgreen”, it is the latest variant of the advanced fee scam utilizing fake checks. btw, we don’t think we should call it a “xxxx scam”, because it will ruin the name of the xxxx party. For example, a scam using Coca Cola’s name should not be termed as “Coca Cola Scam”. We think it should be called “Fake Coca Cola Scam”. In this case, we should call it “Fake Oprah Lottery Scam”. Read the rest of the news.